Rev. White is an Elder in Full Connection as a member of the Texas Annual Conference of the United Methodist Church. Rev. White entered ministry in the United Methodist Church inl989, and served as associate pastor at her home church, Covenant Glenn. 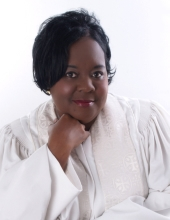 She was appointed to her first church as senior pastor in 2005, and currently serves as senior pastor at Trinity East UMC, Houston, Texas. Rev. White is committed to serving God and dedicated to following God's lead. She has always cared deeply about the spiritual needs and growth of others. Through her ministry, people are empowered and liberated to fulfill their God-given destiny. She has a heart for being a change agent in whatever community God has placed her. She strongly believes "we are our brothers and sisters keeper." She currently serves as Vice President on the Third Ward Community Cloth Fund Organization. She is a member of the Steering Committee for the Emancipation Economic Development Council and participates with the Community Land Trust and Housing Development committee for this organization. She is a member of the Third Ward Assistance Ministries Task Force, the Trinity East Village CDC, and the Advisory Committee for the Emancipation Community Development Partnership. Rev.  White has served on many Conference and District boards and committees for the United Methodist Church: The Central South District Leadership Team, District Board of Ordained Ministry, and Conference Board of Ordained Ministry. She was the Chairperson for Certified Mentors and currently she has been appointed as Conference Relations Chairperson. Rev. White earned a bachelor's degree in Business Management from LeTourneau University and a master's degree in Divinity from the Perkins School of Theology at Southern Methodist University. She is married to Leroy White and they have two adult children and four grandchildren.